A WORKSHEET ABOUT IF CLAUSE - TYPE 1. rules + examples + exercises. key included. This downloadable worksheet is recommended for business/professional students, high school students and adults at Pre-intermediate (A2), Intermediate (B1), Upper-intermediate (B2) and Advanced (C1) level. 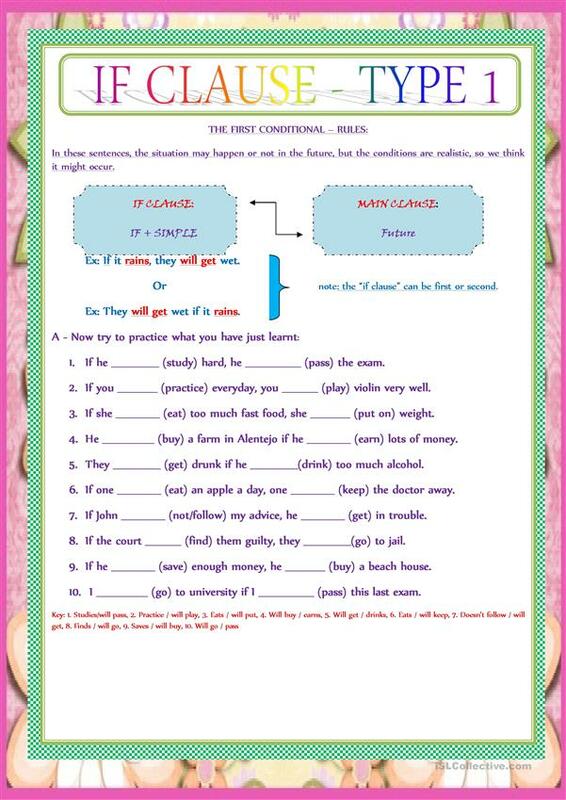 It is a useful material for consolidating Conditionals in English, and is a valuable material for improving your class' Spelling, Speaking, Reading and Writing skills. The exercises come with answers.